Good news to share. Personalized Philanthropy is now available in black-and-white, as well as Kindle. While the original full-color hard-cover is still available, the new formats make it accessible to more, more easily. 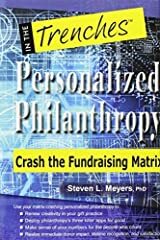 When published in 2015, Personalized Philanthropy presented the first and only viable alternative to conventional institution-focused fundraising. Sad to say, it still is the first and only. 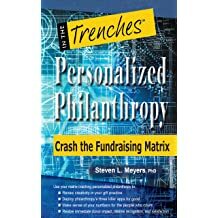 But personalized philanthropy is a fully formed paradigm for a new kind of practice - with foundational concepts, design apps and gift strategies with focus on where donors are, rather than your fundraising department. Personalized philanthropy still is the first to show gift officers how to break free from their silos and the same old gifts every time. While the fragmented conventional model will always dominate, there are some green shoots taking root that are well worth noting. Most important, the emerging concept of "enlightened generalist" that continually pushes back against the overspecialization and channeling that hobbles real planning. The American College's Chartered Advisor in Philanthropy (CAP) designation is proof of a rising culture of a multiskilled practitioners. The phenomena of blended gifts and the quest for new metrics follows closely. If you can count it in multiple dimensions, so can you design it. 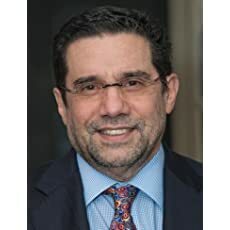 Another sign is the alliance with software vendors who effectiveness measures of lifetime value of individual donors, not merely the transaction of the present moment. These are just the first signs. And, in ways that are very real, these rising trends can trace to Personalized Philanthropy. This is still the only field-tested viable alternative to the ubiquitous conventional fundraising matrix. If you already have found your "why," here is your "how." Leave the channels and department siloes behind. Find "the grail of fundraising" and design gifts with impact that starts now. Deploy the three killer apps with their infinite variations. Most important, discover and cultivate your own "enlightened generalist." Build a new kind of practice and unleash your full capacity for good. Begin here to restore creativity, effectiveness - even joy - to your practice. 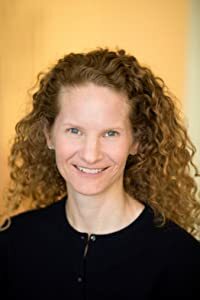 As one professional wrote on finding her path for merging philanthropy and financial planning wrote, "I have embraced your ideas and now have clarity about the kind of fundraiser I would like to be." National Capital PG Days - See you there! We’ll be crashing your Matrix and in good company. see the pdf or click for a description of the keynote. Virtual Endowment spotted in the Wild.Forbes Highlights Creative Giving: IRA RMDs For IsraelSo pleased that Forbes highlighted the new giving opportunities. IRAs are not just for end-of-year or end-of-life, anymore. With the permanent charitable rollover in effect, the IRA becomes an even more versatile philanthropic building block. Check out Ashlea Ebeling's timely story in Forbes on Creative Giving: IRA RMDs for Israel. Listen Up! 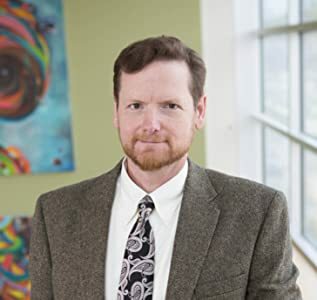 Secrets of Personalized Philanthropy Broadcast with Nonprofit Coach,Ted Hart. “Should result in bigger and better gifts, in more engaged donors, and in richer relationships over many years." 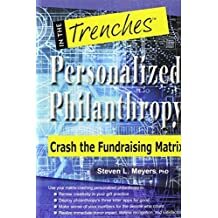 Personalized philanthropy is the fundamental principle of Steve Meyers’ new book, Personalized Philanthropy—Crash the Fundraising Matrix (CharityChannel Press). FRDNY: Going to NY. Even if I have to walk. It's a privilege and a genuine hoot to be presenting in the advanced track of AFP's fabulous FRDNY! The grail of fundraising is exactly this chaining together of donors’ current and future gifts and capacities for giving in such a way that their overall philanthropic program not only supports charitable organizations’ current needs but also secures the future needs of the organizations they care most about. The Grail Challenge: Go "Slightly Viral"
To go just “slightly viral" is our loftiest goal. Personalized Philanthropy will never be a mass phenomena, but many donors would embrace the grail challenge to have their impact and recognition start now, if they only knew they could. 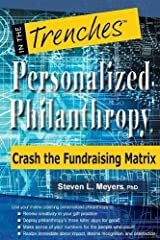 If you have read Personalized Philanthropy, please make your voice heard by writing a review or comment. Engaging donors for impact and recognition now. Coming Soon - the matrix crashing near you. I don’t usually talk about this, but I didn’t want you hearing about it from someone else, and you are certainly entitled to know. This book is actually happening soon. I don’t know when precisely, but it’s very soon. I saw the press it will be printed on. It exists; it’s almost ready, except for the Index. Att: Nashville Cats! Major and planned gift officers. No one can tell you what the Matrix is. But you can find out for yourself. In Nashville. January 14, 2015. Great line-up of authors and presenters and the blended audience of grant writers, major and planned gift officers is amazing. If you are in the Nashville area, let’s meet up. See the pdf flyer for details. In the end, what can just 4 donors teach us about philanthropy? How can an umbrella advance philanthropy-your-way? Each of the three “killer apps" of personalized philanthropy is an “umbrella" gift agreement - comprised of separate gift commitments, where the elements have a separate function, but all serve a common purpose. Is there a Grail of Fundraising? Bringing Change to the World Through Personalized Philanthropy Connecting your values to action http://www.pgdc.com/pgdc/personalized-philanthropy-and-four-donors-part-2-6 Summary Now that Steven has introduced us to the Four Donors, he takes us further down the path of realizing our vision and merging it with that of the institution. Then he introduces his 'Killer Apps' to show us how to pull it all together. Ignite presentations: a wild ride for any presenter! 5 minutes, 20 slides, 15 seconds auto-advanced. They say: Enlighten me, but make it quick! The best gift I ever received was from a donor who so plainly "did not love" any of our usual gifts on the shelf, I thought it would never happen ... until she decided that we would build one together. Trust me, for a new gift officer, that imperative to design was a whack on the side of the head, but it would define my future. Zen and the art of gift design. You wouldn't think so, but we live a life of danger, fundraisers. It's a risky business. Philanthropy as an act of making something. A creative act. Design. Art. Science. Poetry. Same process…. Discovery the disorderly act, the call to action. Then, the rational planning and finally an act of choice of a form.